Critter Litter 8 lb. 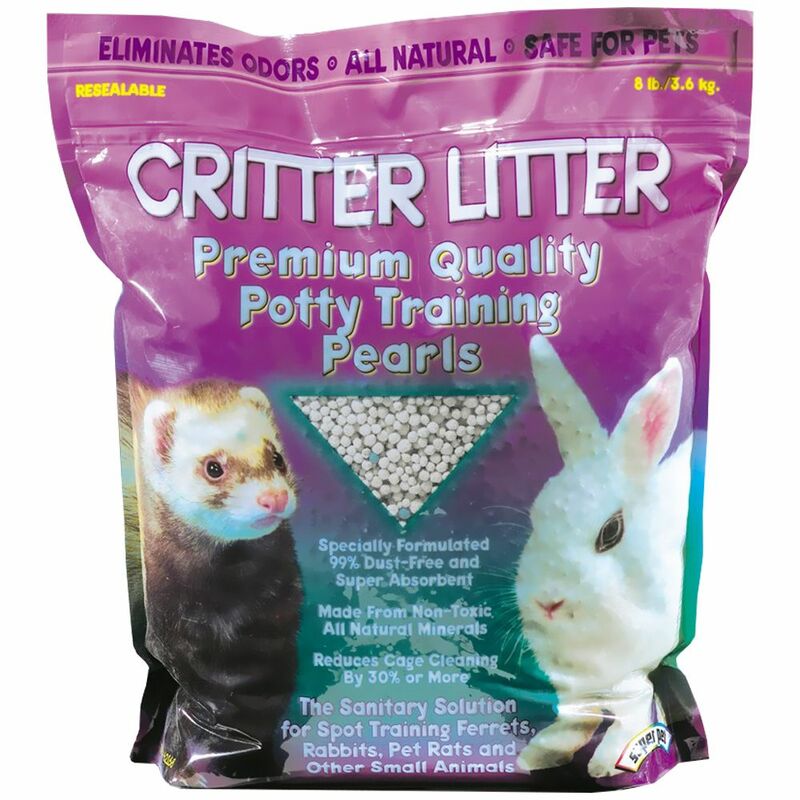 Critter Litter is a premium-quality potty training material for training ferrets, rabbits, pet rats and other small animals. It is specially formulated to be 99% dust-free and is super absorbent. Made from all natural non-toxic bentonite. Critter Litter absorbs moisture on contact and inhibits the bacteria that cause pet waste odors. In combination with a potty training program, Critter Litter will reduce cage cleaning.